There are certain times that developers come together with a mighty fine idea, get together a team filled with talent and create a game that will be, in their eyes, a masterpiece. Sadly, conflicting interests may be the demise of such a game. 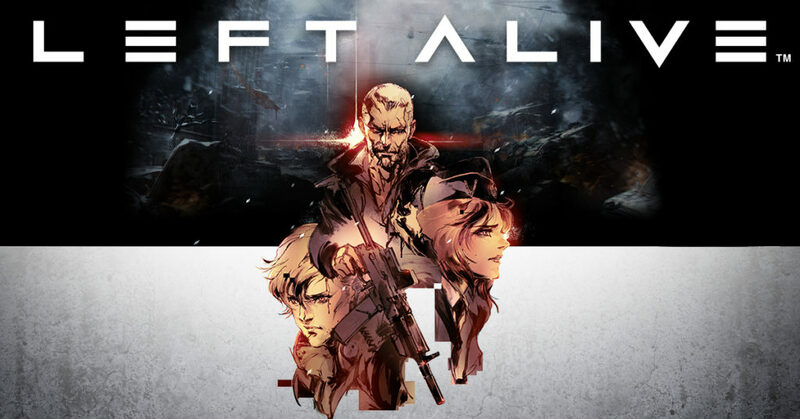 While indie titles can write this off to bad programming or being understaffed, it’s a huge question mark how a big budget title such as Left Alive has turned out to be such a flop. The intentions start off great with a massive story. It’s split over three characters, each with a unique background, so you don’t play as a stereotypical hero but rather as a real human being that is at the wrong place at the wrong time. The story is set in the war-torn city of Novo Slava, on the border of Ruthenia and Garmoniya. When Ruthenia is invaded and the army is swiftly defeated, it becomes under complete siege of the powerful Garmoniya army. In the game you follow rooky mech pilot Mikhail Shuvalov, who had to abandon his destroyed Wanzer (a walking panzer), flee on foot and find his lost comrades to escape. Meanwhile, police officer Olga Kalinina is investigating the strange disappearances that are happening during the sudden invasion by the neighboring country. Lastly, you have the story of Leonid Osterman, an escaped convict that is using the diversion of the attacks to track down and take revenge on the person who framed him. The storylines flow very nicely together because you regularly switch characters and the transitions are smooth. When creating a game with a strong story, developers typically spend a lot of time into creating nice cutscenes. Because of games becoming more and more realistic, it is normal to see taglines such as ‘in-game footage’ on trailers. Now with Left Alive, things feel like they are going back in time. Cutscenes are nicely made and of high quality, but the overall experience isn’t that great. Graphics look like they have been pulled from an early PS3 title with everything being lowly detailed. Some parts even look fuzzy like they are not rendering, or maybe this was done to save resources. Talking about resources, you will notice many things are reused all over this game. There are only a few models and everything looks the same. It feels like this city only had a single clothing store and everyone is family of each other. Furthermore, there is no depth in the details, e.g. the wood on boarded up doors looks like a sticker. Animations are also quite stiff and look far from modern. Left Alive has a strong story, and this is nicely narrated in the game. Characters have very good voice lines that match their appearance. There isn’t really any music present, which is a missed opportunity to enhance the atmosphere of the game and give something extra to the story. Gun sounds are okay but the impact sounds when being hit are just incredibly shallow. 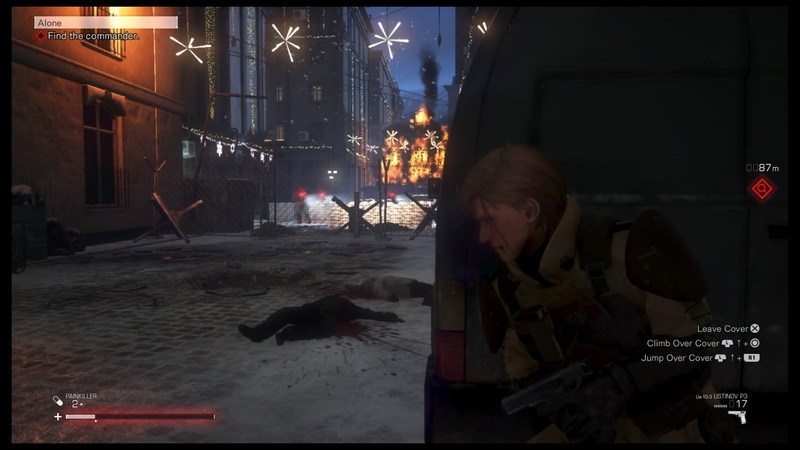 Left Alive is a stealth-action game that is inspired by the well-known Metal Gear franchise. While the latter has turned into action-filled shooters over the last years, it feels that with Left Alive, the team wanted to go back to the more classic, sneaky ways of getting past enemies. When first playing the game, you immediately get strong Metal Gear vibes. This is because there are developers from the original series that worked on this game, together with people that worked on series like Ghost in the Shell and are all bundled thanks to Square Enix. Despite all the good intentions, a lot is wrong with the overall gameplay. 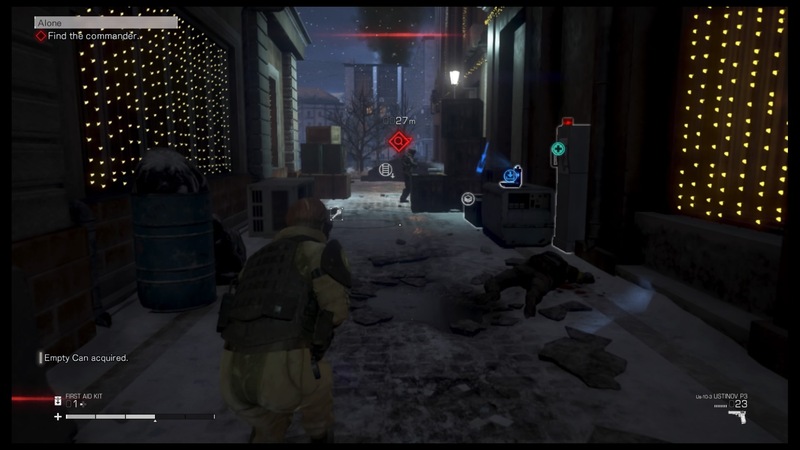 Left Alive is a stealth game with a good blend of gunplay and tactics, but it is far from refined. 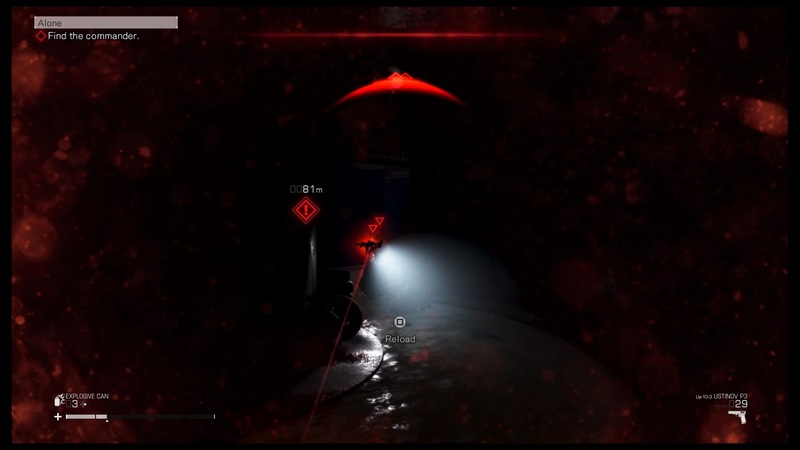 Stealth mechanics are somewhat decent, with indicators showing where enemies are and warning you when they are coming your way. You have a mix of firearms, melee weapons and gadgets at your disposal but here comes the first problem. While weapons barely have any ammo, enemies tend to soak up damage even when pulling multiple headshots. Gunplay is very bland, has no feedback and aiming feels like guiding a blind person to aim for you. When taking hits yourself, there isn’t any feel to it, so it’s like these old shooter games where it’s just indicated, but it seems like you are the Terminator. In stealth you can attack enemies with melee weapons. 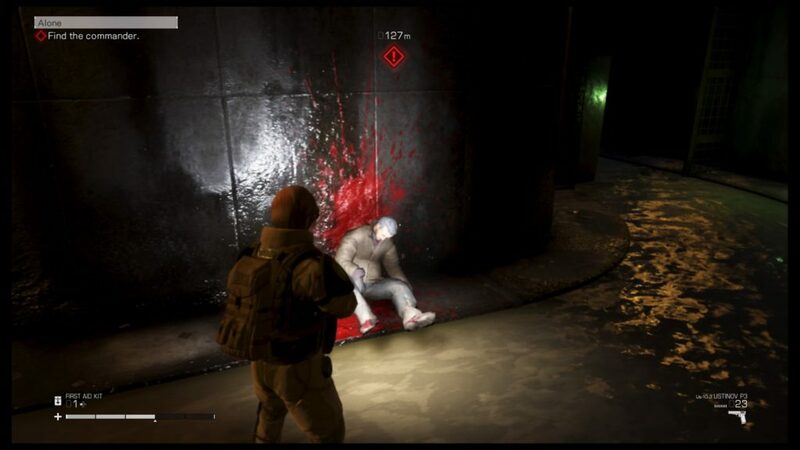 However, since there is no way to stealth kill, many sneak encounters end in you getting mowed down by bullets that come from a retaliating opponent. The game strongly emphasizes the use of gadgets, which is normal; since conventional warfare isn’t the way to go, you must improvise and use the items at your disposal. Many of these can be crafted with parts found in the city streets, such as drinking some vodka and combining this into a makeshift smoke bomb or Molotov cocktail. When completing missions (that most of the time consist of moving from point A to B), you notice that taking a side path might be the best thing to do because of the items and opportunities you find. Enemies are sometimes completely deaf to you walking up to them but get alerted quickly out of nowhere and suddenly open fire on you. Enemy AI is laughable; they move in precise patterns and when they get a hold of you, they seem to be locked-on for an eternity even when staying out of sight, making the only options dying in a blazing gunfight or praying to the gods that you can escape the hellstorm of bullets. Overall, the game doesn’t control well. It feels stiff with horrendous gunplay and essential stealth mechanics, such as a takedown or stealth kill moves, are absent. You will be trained in the use of gadgets that seem super powerful against these trained operators. Although this game could have been an amazing title due to its very nicely coordinated storyline, it lacks hugely in all other departments. You get to play as three characters that each have their own background and training, but it all feels pretty much the same and there is no uniqueness to the chapters. You will have to use more stealth with the first character and get to shoot more with the escaped convict, but overall, it feels like a missed opportunity to create one amazing title. Left Alive has the story to become a great title, yet lacks in every other department. Gameplay is so dated that it feels like you’re playing on the original PlayStation again. In the past, we had another game like this; Turning Point: Fall of Liberty. It was a game that brought one of the best stories of that year but due to its utter crap gameplay it became unplayable and flopped. Looking back at this, Left Alive suffers the same problem.